These free Father’s Day coupons are a fun gift for children to give to Dad. 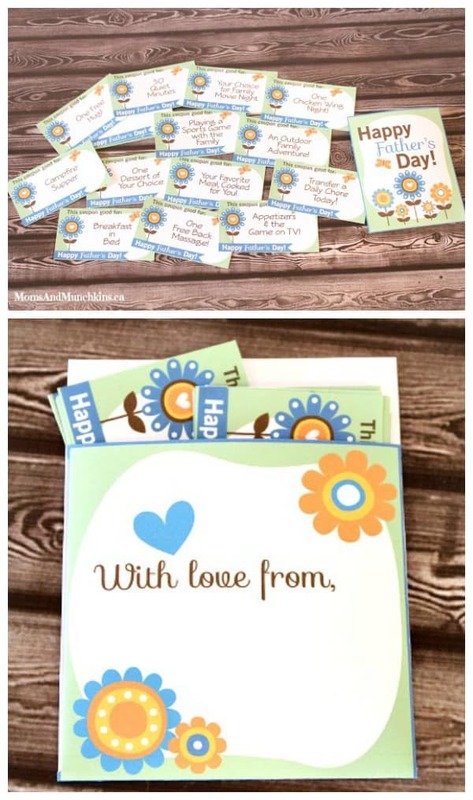 This package comes with several pre-printed coupons along with a few blank coupons for kids to write their own creative ideas. How early do you start planning for Father’s Day? It’s already June 1st and there is so much going on this month – end of the school year, summer vacations, Father’s Day…my birthday! It’s a busy month so it’s great when you can plan ahead for fun celebrations like Father’s Day. 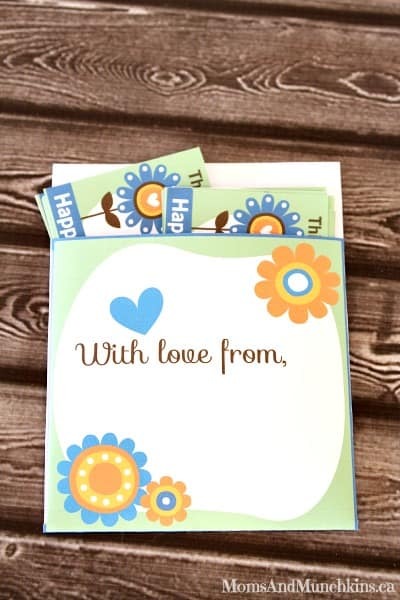 Simply print out the free Father’s Day coupons along with the envelope. Cut out the coupons, put them into the special envelope and sign your name on the envelope. 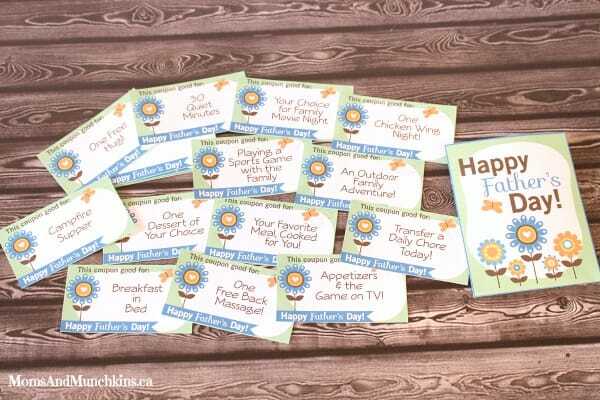 These free Father’s Day coupons are exclusive to Moms & Munchkins newsletter subscribers. You can sign up for free here. Once you sign up, you’ll be directed to a link for the freebies page along with the secret password where you’ll have access to all of the free newsletter printables on Moms & Munchkins. This free Father’s Day Coupons set is under the June 2014 heading. Don’t forget to visit our Father’s Day page for more freebies & family fun ideas. Thanks for these coupons -I am sure Daddy will love them! My daughter designed coupons for Mike’s gift this year. They are very sweet!